KitMonsters – Ludwig Drums Black Beauty Snare. The music makers’ guide to making music. 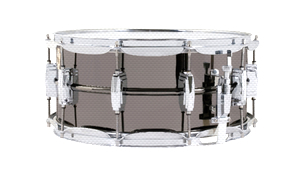 The Black Beauty Snare is legendary and is made from a single sheet of brass that is machine drawn and spun into a seamless beaded shell, then nickel-plated. It has a warm, round metallic tone. 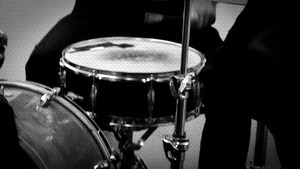 These snares are made in limited quantities. There is a choice of three strainer options (P85 Supra-Phonic, P86 Millennium or P70 Super-Sensitive) and the Black Beauty is designed to have excellent sensitivity at all volumes. There is a choice of Imperial or tube lugs, die cast or triple-flanged hoops and a smooth or hand hammered shell.